Sean Boswell is a kid who lost his way; he’s not popular in school, doesn’t have any friends, and has a passion for illegal street racing. After getting caught one last time, Sean is sent off to Tokyo, to live in a desperately small apartment with his military father. 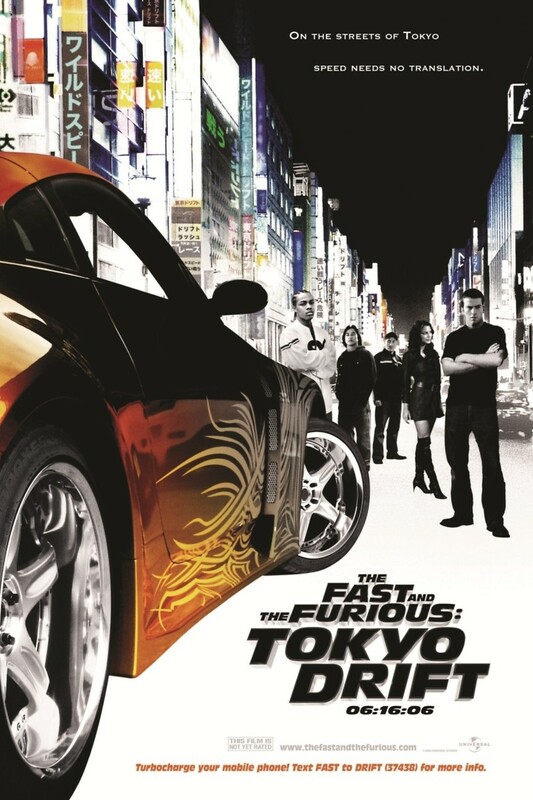 Sean soon finds out that, even though the streets of Tokyo are crammed with people waiting to show off their cars in a race, it’s a much different world here. Tokyo racers don’t settle for the boring, straight-line racing that Sean is used to, they prefer drifting, a dangerous combination of high speeds and heart pounding turns. Desperate to get in on the action, Sean finds himself in debt with the Yakuza, a Japanese street gang that means business. To pay off his debt, Sean must risk his life as he delves into the darker side of Tokyo’s streets hustling some of Japan’s toughest criminals.